Travel WOD is “Workout Of the Day” aimed at physical activities of travel. Motivation: WeightLifting: getting your luggage into an overhead compartment. Stair-Stepping: getting up to the 3rd floor in a hostel. Running/Jogging: your flight leaves in 5 minutes and you are on the other side of the airport. It is a set of workout exercises designed to be performed in order to strengthen the muscles and condition the cardiovascular. It is possible when you are traveling to still keep your fitness level up. 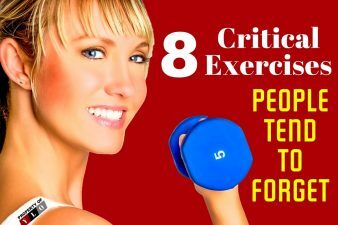 It is also doable if you would like to get some new fitness moves into your schedule to help out with the physical activities involved with travel. Travel WOD or travel workouts will definitely work for you because it combines high and low-intensity workouts that are good for joint mobility and body flexibility. This helps to prevent stiffness and reduce the risk of injuries. 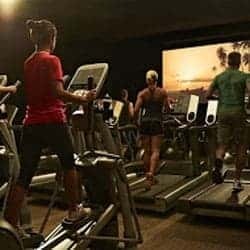 It is a workout that conditions the cardiovascular and burns calories and unlike other daily workout programs, you will never get bored doing it. It’s a fun routine with different workouts for each day. Because you put a Travel WOD in your schedule, your sightseeing jaunts, your nature hikes, and any other physical activity is more enjoyable and less taxing. Customizing your travel WOD allows you to work on all aspects of your fitness e.g. endurance, strength, flexibility etc. A customized WOD for Women should be able to provide a scaled workout program that includes squats, pushups, burpees, sprints, sit-ups, lunges, weightlifting etc. Even travelers over 50 can design their own travel workout. Something as easy as “Chair Yoga” can be used to enhance flexibility to eliminate potential soreness. There is nothing worse than missing out on “The Best View Ever!” because you couldn’t make it to the top of the hill overlooking the city. 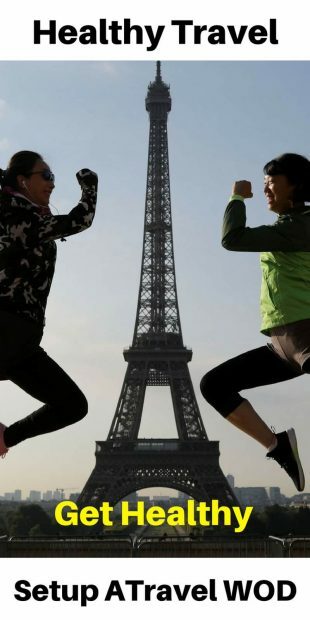 You don’t want to be the person who stays at street level and misses out while everyone else climbs the clocktower, or the Eiffel tower or gets up to the top of an old fort. Then, for the next few days, they can only talk about the absolutely incredible scenery they saw or the breathtaking sunset/sunrise. Most Travel workouts usually fall under cardiovascular training e.g. jogging, walking, cycling or swimming and resistance training e.g. 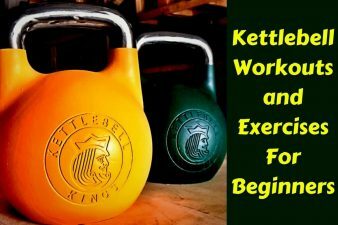 Rubber exercises, dumbbells, pull-ups etc. Simply ensure that you focus on your cardio & calisthenics. Work on your legs, hips, thighs, and waist using weights, squats, lunges etc. By working out these areas, you will end up looking great, healthy & have more energy for your travel activities. Your hips and calves will be more defined and your legs & thighs more toned. The chest muscle group that you should work out on is the pectoral muscles. Pectoralis muscle group is composed of the pectoralis major and minor muscles. The pectoralis major which is the larger of the two is found along the breastbone, collarbone, ribs and ends at the humerus. The reason why it is called major’ is because it’s the only muscle that forms the majority of the chest muscles. The function of the pectoralis major is to medially rotate and adduct the humerus aiding in arm movements. It also inferiorly and interiorly draw the scapula. The pectoralis minor which is the smaller of the two is found below the pectoralis major. It originates at the front of the ribs and ends at the frontal part of the shoulder blade. It helps to move the shoulders forward and pull them down. Teres Major is a thick flattened muscle that is found at the back just behind the upper arm. It is one of the seven scapulohumeral muscles which are attached to the humerus & the scapula. Teres Major assists the latissimus dorsi with its functions in addition to shoulder adduction & extension. It also helps to stabilize the humeral head found in the glenoid cavity. The latissimus dorsi is a very broad flat muscle that is found at the back of the upper arm. 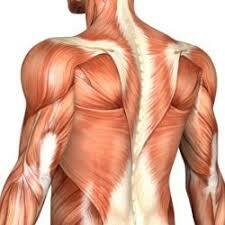 It is this muscle which usually gives the back the V-shape that is associated with a physically fit back. They are essential in providing resistance during activities such as rope climbing, pull-ups, and rowing, facilitating internal rotation of the shoulder joint as well as lateral flexion and extension of the lumbar spine. It’s a group of four muscles i.e. the teres minor, infraspinatus, supraspinatus & the subscapularis. Rotator cuff muscles originate from the scapula, extend to the humerus and end up at the glenohumeral joint where they form a cuff. During movements that require external & internal rotation of the shoulders, it is these muscles which bear the strain. The rotator cuff holds the humerus in the shoulder socket and allows the forearm to rotate. The Erector Spinae, also known as the spinal erector, is a bundle of tendons and muscles which are paired together starting from the lumbar, cervical to thoracic regions. They are found in three columns that is the Longissimus, Iliocostalis & Spinalis. The columns run from the lower back of the skull extending to the outer side of the vertebra and down to the pelvis. The function of this group of muscles is to provide resistance during action motion such as bending and standing up. The shoulder blades are connected to the body by soft tissues and not bony joints. These soft tissues include muscles such as levator scapulae, rhomboids & trapezius. Rhomboids are two rhombus shaped muscles which are found on either side of the upper back. They are responsible for pressing and retraction of the scapula. The trapezius is diamond-like shaped muscles found at the back. It has three fibers i.e. the lower, middle & upper fibers which are responsible for lifting, upward rotating, adducting and compressing the scapulae. Levator scapulae muscles are responsible for holding the scapula against the torso. • Bend over barbell row. They are what is known as the abs. 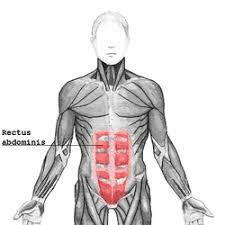 Rectus Abdominis is paired muscles which are found on either side of the anterior wall of the abdomen. It is an important postural muscle that assists with breathing. They are the largest & the outermost of the 3 lateral muscles located on either side of the lateral anterior abdomen. This irregularly shaped group of muscles is broad, thin and occupies the abdomen’s anterior wall. The structure and location of these muscles in the core is what gives them their different actions. If the abdominal external obliques are all contracted, the abdomen will be compressed i.e. the trunk will be flexed (like what happens when you perform a sit-up). The function of these obliques is to help to rotate the trunk and the spine. Abdominal internal obliques help to rotate the trunk, increases pressure in the abdominal area that is essential for the breathing in and out, aids forced respiration and supports the abdominal wall. Transverse Abdominis is the innermost flat abdominal muscles situated beneath the abdominal internal obliques. It contains four muscles which are on the lateral and anterior side of the abdominal wall and it is said to be one of the most significant components of the core. The Transverse Abdominis provides the body with pelvic and thoracic stability by compressing the viscera and the ribs. In pregnant women, the muscles are of great importance during delivery. They are series of muscles that are attached to the spinal column. The Multifidus group of muscles is categorized into two, deep muscles and superficial muscles. The Multifidus help to keep the spinal cord straight and take off pressure from the vertebral discs. When You Can’t Get To A Gym, Be Creative With Travel WOD! You do not need a gym when you plan your travel WOD. A little open floor space in your room, a park, playground, outdoor sports complex. Take a look around your hostel or hotel room—there are probably a bunch of things you can use to add some challenging elements to these movements (put your feet up on the bed or a chair to turn your pushups into decline pushups). Get creative! 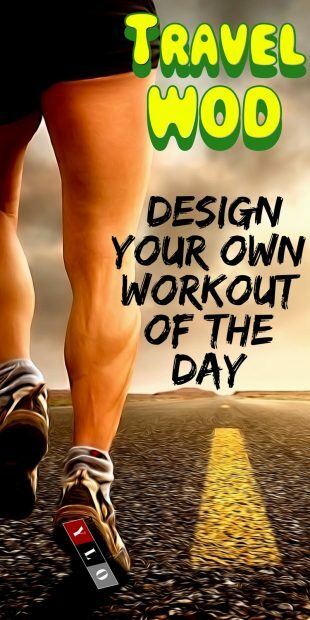 You can also take any of the following workout suggestions up-a-notch by adding found weight. For example, if you’re traveling with a backpack, put it on your back or hold it to your chest and do your squats and push-ups with weight. Hold it over your head and add a little extra muscle to your sit-ups. Wear it on your run or up and down the stairs. The Travel WOD is specific to you and your travel. You choose what you put in them. In order for each muscle group to receive a proper workout, you can implement workouts from every muscle group as your travel WOD so that all muscles are effectively targeted. Mixing the different workouts with variables such as the training style, experience, lifestyle, goals, and diet will ensure that each group of muscles reaps the maximum benefits. For the back muscles, a lot of people fail at training this large muscle group because it is part of the body which they don’t often see. The back has two sections, the lower and the upper back. To give the back muscle group a proper workout, you should first train the upper back before moving to the lower back. For the upper back which has muscles like latissimus dorsi and the trapezius, you can do exercises such as pull-ups and pullovers. To effectively train the core and chest muscle groups, use a different travel WOD during each training session, go easy on your crunches & use a progressive approach. A proper workout will make the muscles in these areas to be toned and strong. Make sure the exercises target all the different parts of the core. For travelers who are not in the youthful, ripped, athletic zone, there is always yoga and pilates to start you out. 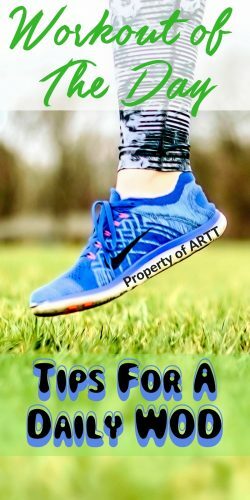 Target your flexibility for ease of movement and just walk more. Eventually, you can build up endurance where you are not as tired at the end of the day. Nothing is a bigger buzz-kill to an exciting travel adventure than being in pain at the end of the day. The aim of the entire travel workout program is to build and strengthen the muscles on the different parts of the body. When you are trying to build muscles, your main area of focus is not just training but also the diet. The aim of taking supplements with the workout program is to enhance the functionality of your diet. Supplements are one of the most important components for strengthening and gaining muscle mass. If you have a good workout routine but your diet supplement fails, the results of your workout will be compromised. Supplements produce the difference between good and great results. • Multivitamins –They have components like calcium, magnesium, and biotin that are used for muscle building. • Creatine supplement enhances muscle strength, increases the lean muscle mass, and helps the muscles to quickly recover during and after exercises. • Branded Chain Amino Acids (BCAAs) – It’s a supplement that contains leucine amino-acid which is a muscle building powerhouse. • Glutamine –it contains the human growth hormone that facilitates new muscle growth.It is an anti-catabolic supplement that protects muscles from breaking down.